Starting this week we are commencing a new series of classes for beginners. Over the next six weeks we will explore all the facets of a yoga class starting this week with preparatory poses. These are the poses that we use to prepare our bodies to get into the larger yoga postures such as standing postures, backbends, inversions, twists and forward folds. We even use these poses to open our bodies to breath and our bodies and minds to explore thoughts and emotions. Also during these classes we will return to some of the core philosophies of my teachings. Starting with our physical experience from my training at Esther Myers and their core teaching of breathing, grounding and spinal elongation and then expanding to our thoughts, emotions and spirit from my training with Phoenix Rising Yoga Therapy and that infamous question, “What’s happening now?” The simplicity of these classes will bring us back to basics and give us the space to unravel tension from our bodies open up to hear the messages they are trying to speak to us. Props Needed: yoga strap, yoga blocks, yoga blanket, wall, bolster. Are you a yoga teacher receiving value from these classes? 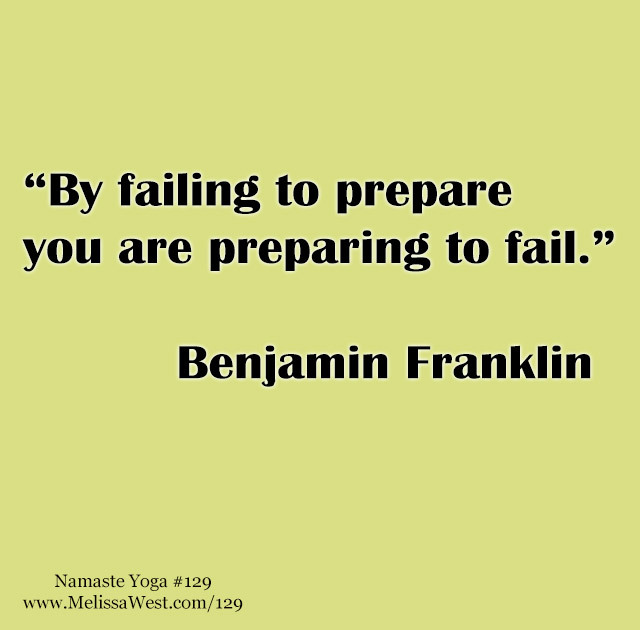 I hear from yoga teachers every day that Yoga with Melissa makes their lesson planning easier and more inspired. We are incredibly grateful and appreciative to those yoga teachers who express their gratitude with donations, comments and testimonials. Consider the value you receive from these classes. Teacher training costs thousands of dollars, workshops costs anywhere from $50-to hundreds of dollars, even books to educated yourself range anywhere from $10 to upwards of $50. If Namaste Yoga has added value to your teaching at any time, please consider offering a donation to express your gratitude to myself and Tim for the value we are adding to your teaching. There are many ways to give back, you can give a monetary donation or you can give of your time by liking the video, subscribing to our channel, leaving your comments, or sharing the class with somebody else you believe would receive value. Today’s question to answer in the comments is: What does yoga help you to prepare for in your day to day life?